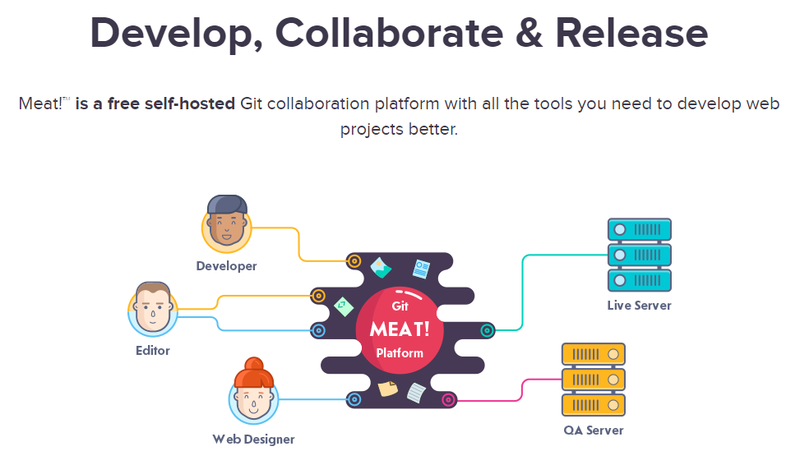 In this post we are going to introduce Meat which is a free self hosted Git Collaboration platform with all the tools you need to develop web projects better. Meat Standalone is a downloadable version of Meat which can be hosted on your servers. Meat Standalone means that all the repository data will be stored on machines in your local network. One good thing about this is that there is no limit on the number and size of repositories in the work-space. This solution is perfect for the teams who need all the controls over their code and project data and who wants to create their stuff in-house. The system requirements for using Meat Standalone are 8 GB of RAM and 10GB of disk space. 1. Git Version Control : Meat comes with an incredibly clean & simple code browser. It gives you an easy way to change branches and tags, review commit history, compare revisions and browse your files. Its designed to create, compare and merge branches in a snap. You can even update text, media and other files straight in the browser. 2. 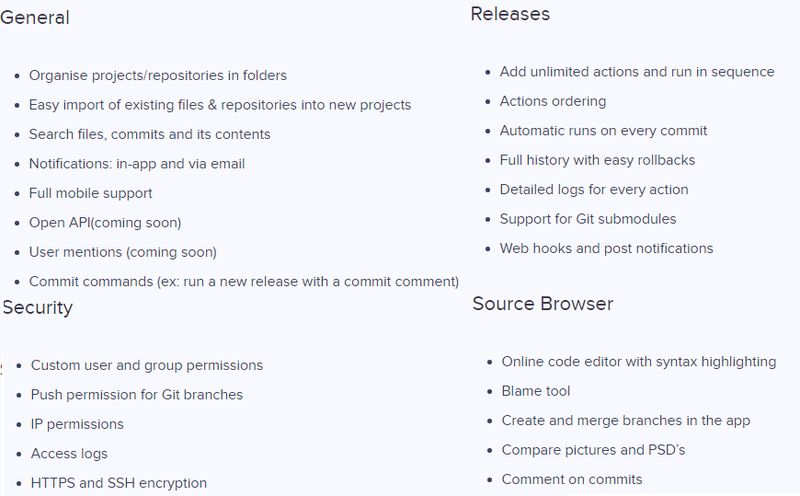 Delightful Releases : Release and Deployment tools are included which will give a huge productivity boost to the team. You even have an option to run all the release processes in a single click and automatic release are also possible. 3. Collaboration : You can check the recent actions of your team mate. You have an option to discuss the feature included by your team mate. 4. Other features includes Organize Projects, Mobile Support, Custom user and group permissions blame tool etc as shown below.